A few months ago, I wrote about the Great Ape Protection and Cost Savings Act, federal legislation that would end the use of chimpanzees in research and experimentation. At that time, I argued that the recent glut of films about primates (“Rise of the Planet of the Apes,” “Project Nim,” “Chimpanzee”) have reflected a cultural shift in the way we view primates specifically and animals rights in general – and that the films, one of which contains an embedded narrative of animal liberation – has led to increased movement on the bill, which has been introduced three times without seeing any legislative action. This story continues to develop, as last week the Senate Committee on the Environment and Public Works passed S. 810 by voice vote. It now awaits action on the Senate floor. Given how little floor time is left in this Congress, there is no guarantee that the bill will pass the full Senate, let alone become law. But the committee vote was still historic, as it was the first time that any federal legislative body has voted to ban any type of animal in general research. For those involved in the animal protection movement, this was a major milestone. And just yesterday, 20th Century Fox announced that a sequel to “Rise of the Planet of the Apes” will be released in 2014. The film, entitled “Dawn of the Planet of the Apes” will be written and directed by the same husband and wife team who used their first script to explore the moral dilemmas involving animal experimentation. While no story has been announced yet, it seems reasonable, given the ongoing debate on these issues in the public sphere, that “Dawn” will continue to develop these themes. “Rises” was quite clearly an animal liberation fantasy. Caesar, the super-smart chimp who led the revolution, freed not only chimpanzees imprisoned in labs but also those in sanctuaries and zoos. At the heart of the animal rights movement is a desire to liberate all animals from the bonds of humans. “Dawn” will likely give us the first perspective on what that liberated world will look like. While “Rises” was the first film to dramatize animal liberation on a mass scale, other films have addressed the topic. 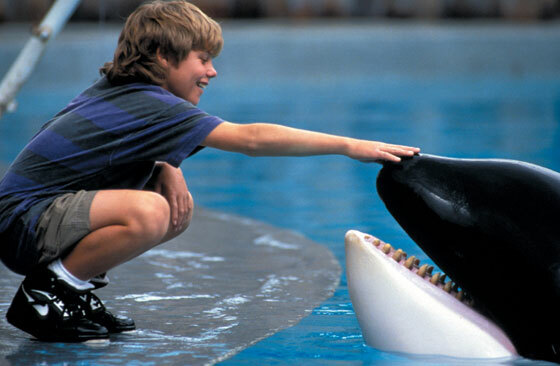 On a smaller scale, 1993’s “Free Willy” told the same story. In the film, Jesse, a young juvenile delinquent, is sentenced to work at a local aquarium, where he befriends the eponymous killer whale. The film makes several arguments in favor of animal rights. In one scene, Willly is scheduled to perform for an audience, but he is too traumatized by the kids who have been banging on his enclosure. This scene shows that whales have a higher level of consciousness, emotion, and sentience that animal rights opponents have argued either does not exist or should not factor into our relationship with them. In the end, Jesse learns that the aquarium’s owners plan to kill Willy to collect insurance money – they clearly see him as an object without rights or sentience – so Jesse springs to action and releases him back into the ocean. This is animal liberation on a smaller scale, but the film does its job so well that the victory feels no smaller than the revolution in “Rises.” As with that film, “Free Willy” has a correlation in the public arena. Earlier this year, PETA filed a lawsuit on behalf of orcas at Sea World. They argued that the legal protections against slavery, as outlined in the 13th amendment, do not apply only to humans. Their case was ultimately dismissed, but they got plenty of media coverage, and their point was made. Given the numerous ways in which humans use animals for their own purposes – in experimentation, entertainment, and as pets -PETA could have chosen any number of animals for this case. It is likely that they chose orcas because of the connection to “Free Willy,” a film that many adults grew up watching. Both “Rises” and “Free Willy” illuminate the power of narrative to make and reflect cultural shifts in our society. 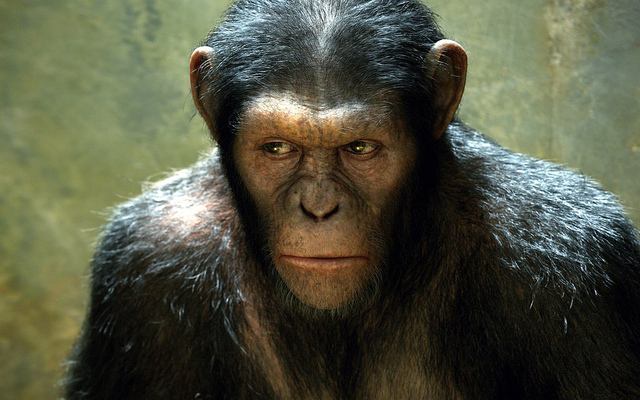 These are the issues that we discuss in this blog, and we will eagerly await the release of “Dawn of the Planet of the Apes” in 2014, as it will likely give us some idea as to where the animal rights movement stands and where it is headed.